Peer-to-Peer Consultations are services we offer to other professionals in the mental, allopathic, dental, veterinary, and other health care related fields. In these consultations, we offer assistance to the primary care provider and/or the client (in conjunction with the primary care provider). There are times when traditional approaches to physical, emotional, or mental issues do not bring about the desired resolution to the situations at hand, sometimes inexplicably. When we look at the issue from a holistic and metaphysical standpoint, we often find that the issue must be dealt with within the energetic levels before it can be remedied on other levels, such as physiological. There are times when Negative Entity Release work is also called for in order for traditional treatment to be effective. Peer-to-Peer Consultations can provide a deeper Understanding of challenges that may be faced with an illness, injury, disease, emotional, mental, or behavioral difficulty that does not respond to a traditional approach. ​How Can Peer-to-Peer Consultations help you? Peer-to-Peer Consultations are an avenue through which I can help you work with your physician or other health professional in taking a team approach to true holistic wellness and Healing. When an issue is addressed on all levels in concert with one another, deep Healing and change can occur rapidly. There are times when a client requests that I work directly with his or her physician (or veterinarian) on specific issues. 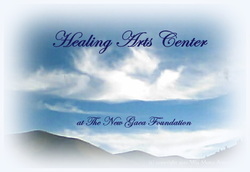 This consultation allows me to offer my assistance in this team approach to health, wellness, and Healing. I use this consultation frequently when working with animals. I have also been brought into certain mental health situations to assist the mental health professional in getting "behind the scenes" with difficult issues.